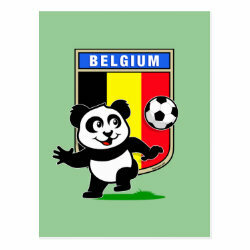 This cute panda loves to play soccer, also called football for Belgium. This fun Belgian soccer t-shirt is perfect for anyone that loves to play football or fans that like to root for Belgium in matches! 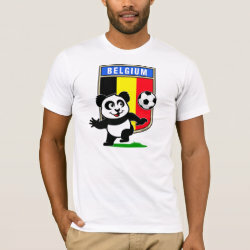 Support the Belgian Football Team with this cute t-shirt design!